Posing With The Master: Ed Corney On Posing And Life. In the following interview Ed provides a detailed look at how he became the greatest poser ever and why he feels posing should not be neglected. In addition he talks about current events and much more! Read on. While bodybuilding success depends to a large extent on a symmetrical, well-proportioned, adequately muscled physique, displaying it effectively through a well-constructed posing routine and a good command of the mandatory poses is essential. After all, the judges cannot judge what they cannot see. 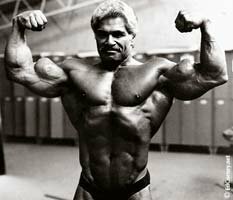 And it is no coincidence that bodybuilding&apos;s major champions, though diverse in the type of physique they present, all have one thing common: they know how to display their muscles to full advantage. 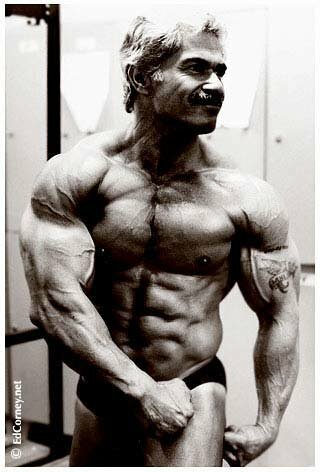 One man who took posing and transformed it into a veritable art form is past IFBB Mr. USA, Mr. America and Mr. Universe, Ed Corney. Though Ed managed to develop an amazing physique, as his career as an IFBB professional - spanning 23 years - will attest, he is largely known for his remarkable posing skills, which have left audiences touched and procured standing ovations. 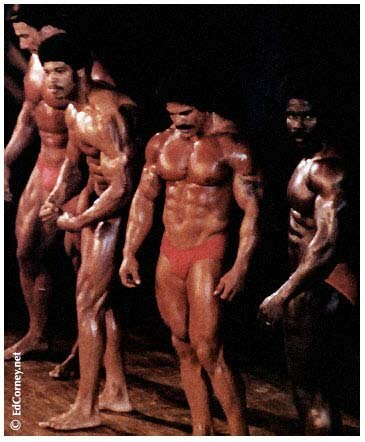 With so many good posers around, how did Ed, who entered his first contest, the Mr. Freemont held in Northern California, at age 33, distinguish himself through his memorable onstage performances? What made him different? For one thing, Ed always felt he was communicating directly with the audience through his posing. The subtle hand gestures, forceful, dramatic shots, many of which were his exclusively, graceful transitions and animated facial expressions all combined to speak to the audience; it all meant something. And the crowds listened. Ed is the only pro competitor to have received standing ovations for his posing at both the pre-judging and night show. He has had many in tears through the music he chose and the way he made sense of it through his physical artistry. Today bodybuilders will often use all manner of tricks to get the audience to respond. We see robotic moves, break-dancing, gymnastics and most muscular after most muscular, all done to lend impact to capture the judges and audiences attention. 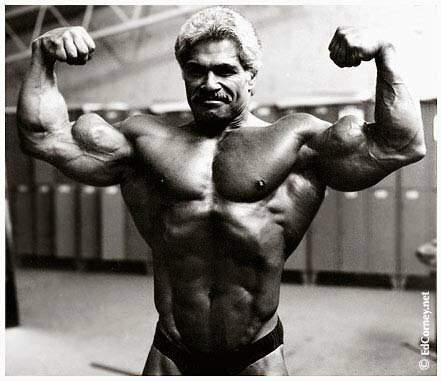 Ed did none of this and still is regarded as bodybuilding history&apos;s all-time greatest poser. Why? Because he believed the audience and judges should be presented with something that is at once beautiful and pleasing and which shows the physique from all angles for an extended period. And it is not by pure chance that Ed posed in such a way. To become exceptional in all areas of physical display, Ed would practice both his mandatories and routine in a specially built area of his garage with mirrors on all sides and from above capturing every movement he made, every twist and turn, every pose. Before this he would select a piece of music that perfectly encapsulated all that he wanted to project. This music would be dissected into four parts, each with its own storyline as it were, and each requiring different poses. This would then all be put together as a whole. Ed approached the creation of posing like an artist would a piece of sculpture or a writer a fine piece of literature. And the outcome was always the same: something memorable, which sparked the imagination through its interconnectedness of parts and the story it told. In a word: captivating. Ed feels that it is worth getting one&apos;s posing just right as a memorable display will give the audience their money&apos;s worth and to properly pose the muscles to gain the judges approval we must first show them sufficiently from all angles. Using a variety of poses, designing your routine based on how a piece of music flows and your feelings to it, holding each pose for a three-count and taking your time with the transitions, which are also essential to how the routine unfolds, are all aspects of posing Ed believes in. In the following interview Ed provides a detailed look at how he became the greatest poser ever and why he feels posing should not be neglected. You will be getting posing advice from the best. He also fill us in on what he has been doing lately and his outlook on life, a mindset that allows him, among many other things, to crank out triceps kickbacks with 140lbs dumbbells at age 73. [ Click here to learn more. ] 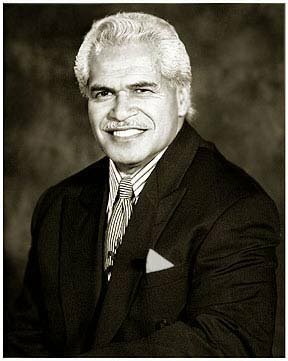 An Interview With Ed Corney. 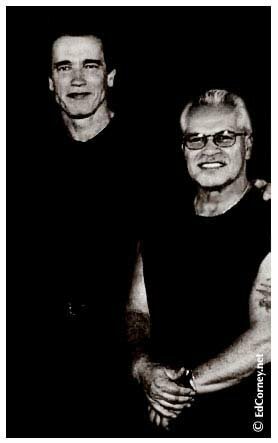 Ed Corney trains with a ferocity that men half his age would admire. Ed tells of his history and shares the stories of a life committed to the iron. 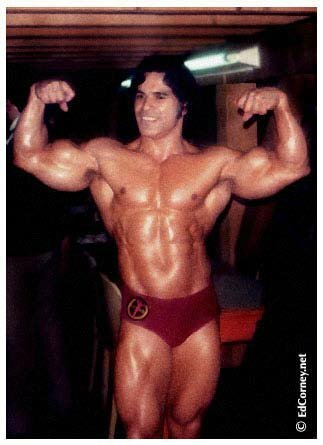 [ Q ] Bodybuilding has had its share of great poser&apos;s over the years, but you would rank as being probably the best ever and certainly the best classical poser of all time. 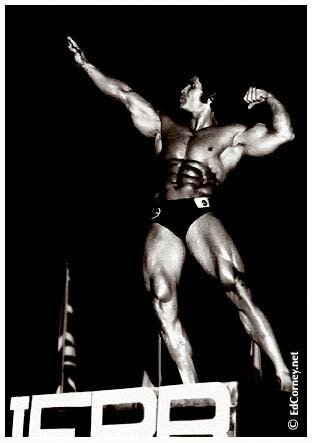 Well Frank Zane and Chris Dickerson had their styles as did Makkawy and I came along with my own style. [ Q ] How would you explain the fact that your posing displays are still spoken of today? Why were you so good? Because through posing to the audience I communicated to them with my emotions and my heart. [ Q ] How would you do this exactly? I would let nothing distract me. My feelings go out to the audience completely and they feel what I am feeling and what I am doing. You know at the 1994 Masters Mr. Olympia I got myself in shape and was faced with having to find the right music. I kept listening to this and that and thought, "Man there is no connection there." Finally I hit on this song: "When a man loves a woman." I choreographed that song and got five-minute standing ovations at both the prejudging and the evening show. [ Q ] Would this be one of your better performances? I think that was my greatest performance. [ Q ] Your music choices have always been very powerful. Posing to pieces such as "my way" and "the impossible dream" have brought audiences to their feet. What inspired you to choose such music? Because I relate to the music itself and that makes a difference. It shows that when I move, everything is predetermined. All my movements, hand gestures and facial expressions and poses all relate to the song and myself, and people feel this. They know why I am up there; they know what I am doing. And they are actually moving with me. And that is the connection I make with people. [ Click here to learn more. ] Pump Up The Volume! Learn to use music to make the most of your personality and assets. The author shares his experience with creating music for fitness routines. [ Q ] How does it feel to captivate audiences through your posing? It is a tremendous natural high. To get yourself in shape and present yourself to an audience who has paid money to see someone like you and give them their money&apos;s worth. [ Q ] At that very moment you are communicating to the audience and letting them know what your life is like at that point in time? It is always about me and what I am doing, how I am feeling and how I am expressing myself. I want people to know that it takes a lot more than just going to the gym. [ Q ] You are putting art into bodybuilding? I believe so. And of course you get into different ways of posing that flow and are dramatic. Sometimes you might get into a pose that has a dance routine going on and the audience can&apos;t see what you are doing because you are moving so fast. They want to see something when you are up there. And I always use Arnold as an example. When he posed all eyes were on him. He didn&apos;t have to encourage anyone to clap or this or that. He just came on and was in such magnificent shape and presented himself so well that people appreciated that. 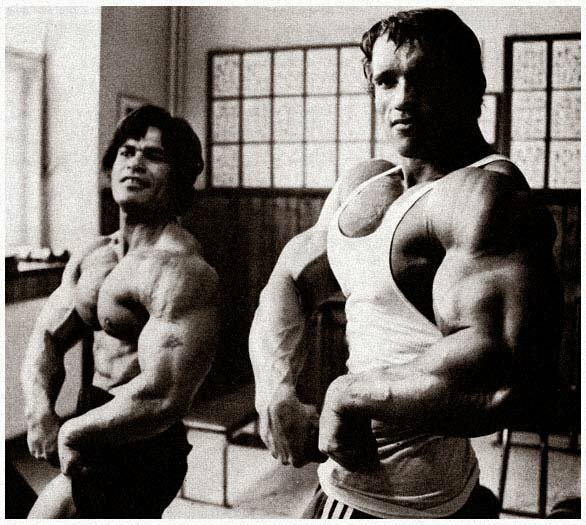 Germany, Preparing For The 1983 Olympia. [ Q ] But back in your day it could be said that Arnold was in a class of his own. Today you have several guys at the pro level who are all very similar. Do you think that the guys today need to look for other ways to get the audiences attention through dance and robotic moves for example? This could be the case. You have to really teach yourself to pose properly. To teach myself I would tear up my garage, put a mirror in the front and one in the back, one to the left and one to the right with one on the ceiling also, one for the front angle and one for the back angle. So I could see myself from every angle so I knew what I was doing, because sometimes if you pose a certain way you don&apos;t get any reaction, you make a move another way and there it is: it comes off. So you need to see what is happening from all angles, from the back you need to know what is happening. [ Q ] So with your system, with every movement you can see exactly what is happening. Yes and that makes a difference. [ Q ] And you would construct all your routines using the mirrors? Always. To educate myself on what I am doing and what they (the judges and audience) are looking at. [ Q ] Your onstage facial expressions always match the music. Is this something that just comes naturally or do you practice this also? I do practice this. There are times you smile and times you don&apos;t smile depending on what poses you are going to do. And if you learn how to smile it has got to be natural, not a fake smile. [ Q ] You would pick certain facial expressions to go with each pose. [ Q ] How would you perfect your mandatory poses? There would just be a lot of practicing and I would always be aware that posing is from top to bottom. [ Click here to learn more. ] 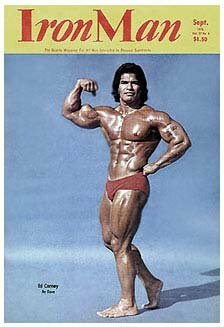 Video Posing Guide With Bob Cicherillo. It&apos;s not just about having a sculpted body. You need to know how to pose for the highest marks! [ Q ] Please elaborate. Well you can go into a side chest pose where your chest is really coming out but if your legs are lacking because you are not posing your calves as well, it will ruin the effectiveness of that pose. There is a certain way you have to stand so that your hamstrings are showing; your calves are showing, even though it&apos;s a side chest pose. And when it is a side chest pose you need to focus on your biceps also. From top to bottom, everything has to be in place in order for it to look right. [ Q ] How long do you personally hold each pose for? A three count for every pose and every transition. It gives people time to look at you and at what you are doing. Then they understand it. Otherwise they look at you and you have pulled three or four poses off and they don&apos;t know what they are looking at. This is very confusing for the audience. [ Q ] You on the other hand would hold each pose longer to allow the audience to take it all in. Exactly and they would appreciate it. [ Q ] What is some of the feedback you have received from the audience regarding your posing? I have had a lot of women say, "Ed, you have made me cry." Because they are with their loved one or special one in the audience giving them the elbow to "when a man loves women." I mean, how can you not relate to that song? Especially when there is someone you love sitting with you in the audience. [ Q ] And of course this song was used for your 1994 over- 60 Masters Olympia win. How many masters Olympia&apos;s did you do? I did the Masters in &apos;94, &apos;95, &apos;96, &apos;97 and the Arnold Masters in &apos;98. At this show people said, "Ed, how do you feel competing against the over-40 guys." But I&apos;m not. I&apos;m competing against myself in the over 60 category. I&apos;m not worried about them. When I was 40 and onstage they weren&apos;t around. I never worried about anybody else. Arnold once told me: "Eddie, don&apos;t worry about them, just worry about yourself." 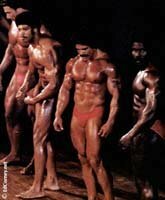 [ Q ] Back in the 1970s Gold&apos;s Gym days would you get together with some of the guys and go through your mandatory poses together? Yes. You would guide each other in the mandatories. "Okay, lift the chest just a little higher. That&apos;s it. Now hold it, hold it." When Arnold was doing his side chest they shot that by cutting hole in the mirror he was looking at and putting a camera behind that hole. So they got him right on. 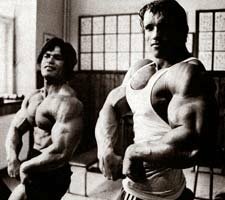 Arnold would be looking at the mirror as a guide doing his side chest pose and they captured that. [ Q ] I never knew this. Those famous shots did seem perfect. So this technique was commonly used for all of the Gold&apos;s gang? Oh yes, the same way. When you were looking at the mirror you could see what you were doing, what you should be doing and what you are not doing. [ Q ] Would you use this method in the build-up to contests? Exactly, and you could see how you were improving. And then come the counting down time: 30 days, 20 days, show time. [ Q ] How long would it take you to choreograph a routine? It depends on the song. I have to dissect it. Break in into four parts and take one part where you work on that for all poses. You got that then you take the second part, then you have the chorus. Then you have third part. You put it all together. Now when I won the Universe in Bagdad (in 1972) there was no music, you just went dry. [ Q ] How did you deal with that? You did the same thing, but without any music. Then when there was the Olympia in Columbus where Arnold was promoting it, there was background organ music. What I did was I got this piece of music and I had this organ lady set the music to an organ style and I had them play it for me. [ Q ] So you researched the show and had your music designed accordingly? Always. Always thinking ahead, you know. [ Q ] With the Baghdad Universe how did you know what poses to hit at any given time despite not having any music. I kept it all in my head. I knew what I was doing. Everything was rehearsed; pre-determined. You went out there and you did exactly what you were supposed to do. I did a show one time in Louisiana and they put my music on: the Rocky piece. First of all it was too fast and it came on like the chipmunks. And they tried to fix it and it came on too slow. It was funny. The crowd was just going crazy. Finally I posed without the music. It was all messed up. 1972 Universe Win In Baghdad. [ Q ] What was your response when this happened? You enjoyed it and presented yourself well. With the lifestyle that you led then, it wasn&apos;t the done thing to become obnoxious and pissed off. Things happen and you accept things as they happen. Then you move on with it to make it work. [ Q ] Did you have any other problems with the music over the years? Not really. The music man was always the biggest thing. The main things that can go wrong include people not cuing music properly. They have the wrong music on or it belongs to somebody else and you get someone else&apos;s music instead of yours. [ Q ] Did that ever happen to you? (Laughs) yes, but you just laugh it off. "It&apos;s not my music, but I will pose to it anyway." You make it work. After a while you know how it works - the music highs and lows and so forth. [ Q ] And if you got upset over your music being off that might send the wrong impression to the judges and the audience. I never took things personally and that is why I never get pissed off. Things happen. Posing At The Whitney Museum. [ Q ] So your life philosophy would be to take things as they come. [ Q ] Are you big on long-range goals? I just keep improving myself. I had a medical setback: high-cholesterol, open heart, bypasses and all that. They put me on all the medication and I had a stroke. Haemorrhaging and everything - I ended up in a wheelchair in 1999. [ Q ] And your health these days? I do dumbbell kickbacks for triceps with 140&apos;s.
[ Q ] How do you train these days? I train the same way as I did back then. I lift weights and that&apos;s why I am there. I train to improve myself. My rehab is done in the gym to help me and keep me strong. I am strong, getting better and getting younger. I don&apos;t know about other people but I know what works best for me and that&apos;s what I do. [ Q ] As you think so shall you be. [ Q ] I understand you are still involved in the promotional side of bodybuilding. Well I have my website, it&apos;s unbelievable. I am able to help out a lot of people from all over the world. India, Africa, Netherlands - people are coming to me with little questions. The kinds of questions I imagine I would have asked when I was starting up. If I can help by also lending my presence to a lot of the local shows here in the Bay area plus the Arnold Classic and the Olympia I will do so. I really don&apos;t go to shows but I just do the exhibitions. I shake hands with my fans and there are always questions and answers. It is good PR work for me and it is good for them also. And it is not about what I used to be or what I have accomplished. I&apos;ve got a track record yes, but its about what I am doing today. [ Q ] What do you have planned for the remainder of 2007 Ed? Well I have a couple of shows coming up then I go to Texas for the Europa super show too for that expo. And then I will do the Olympia expo in September. Then in March (2008) again I will do the Arnold Classic. [ Q ] It is a wonderful life. It is, it really is. Of course I&apos;m retired. People say, "Ed, what are you doing." I say, "Nothing, I just train." Funny story. You know at the Arnold Classic this past year I had my booth there and all of a sudden Arnold comes down the aisle preceded by two German Shepard dogs and their handlers. There are security people on both sides of them and security people behind them. Arnold comes right over to my booth and shakes hands. And I said, "Arnold if I can help you with anything let me know." Then he starts posing. Double biceps shot. 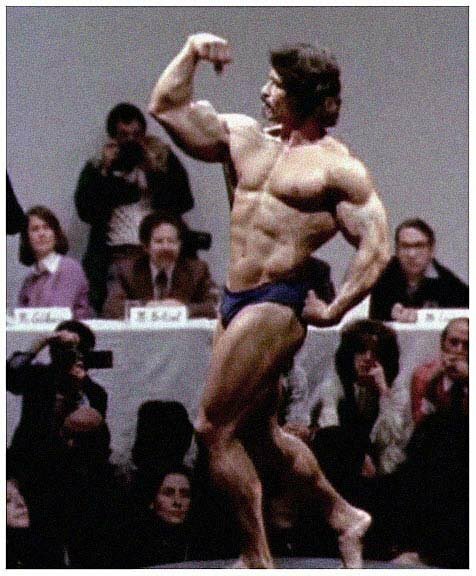 [ Q ] Arnold has always said bodybuilding has helped him to achieve all that he has today. What is it about bodybuilding that attracts people and what are its main benefits? You learn about yourself. Mainly that&apos;s what it is all about. How hard you want to train, how good you want to be? Do you want to be Mr. America or do you want to be a normal type trainer? [ Q ] And even if someone wants to train to stay in reasonable shape that is good too. That&apos;s right. You have your choices in the gym and you choose whatever you want to do. If not, don&apos;t worry about it. People might ask me, "Hey Ed, what about drinking and smoking?" I say, "What about it? If that&apos;s what you want to do, enjoy." People&apos;s goals are all different and I am not trying to change the world. I am trying to improve myself only. And people have to make their own choices. On The Cover Of Ironman.